Over the years I've tried lots of different mascaras, but for maybe the last ten years, this has been my favorite. Every once in a while I'll still purchase a drugstore brand just to see if I can get by with something less pricey - but every single time I come back to this one. It's straightforward and simple (no fancy "curling" or "lash building" going on), but the application is always flawless and it's just a solid product. Much the opposite from my mascara, this is a drugstore find. I stock up on these babies whenever I'm at Target, fearing the day the might stop making them. The felt tip provides the best application. 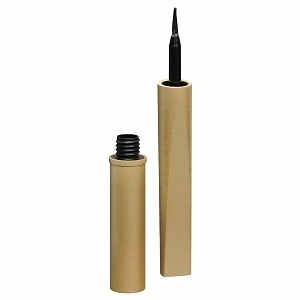 If you're a liquid liner fan (or even if you're not) I would definitely say to give it a try! I was introduced to this magical powder over a year ago at the local blow-dry bar. I was told it was amazing, but being a fan of spray-on dry shampoo, I was skeptical. Y'all, I'm so glad I took the advice and purchased a bottle. It's actually a dry shampoo/style extender/volumizer, and it's genius. Plus, the best part, it's never ending. It's like the five loaves of bread and two fish that fed 5,000 people in biblical times - I've been using the same container, pretty much every other day, for over a year. And there's always more. How is this even possible? The spray cans would last me maybe a month, so this has been quite the surprise. 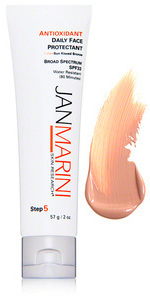 A few years ago after a facial in Scottsdale, my aesthetician applied this tinted moisturizer with SPF on my face to help with the desert sun. I went home and immediately ordered more. In Arizona, I got into the habit of applying SPF every single day, and it's carried on even though we are in the rainy south. I love that it's tinted for days when I'm not wearing much (or any) makeup, and it gives off a bit of a glow (I feel making me look much more rested than I actually am, ha!). Essie is my favorite nail polish, but I also am a devout user of their cuticle oil. I can count on my one hand the number of salon manicures I've had since Parker came around, so this oil really helps keep my nail beds from, well, from looking like I can count the number of salon manicures I've had in the past three years. Just apply and massage in whenever! This liquid is a lip and cheek stain, and I just love the flush of color it gives! I've been a fan since my bachelorette days in California's Bay Area when I could walk to the Benefit store in downtown Los Gatos and enjoyed buying all their new products (it's probably best for my marriage that I'm no longer walking distance to one, ha!). This is my absolute favorite! I love the (lack of) flavor, the applicator, the cute packaging - everything! I don't mind splurging on a good lipgloss either because I feel like I use it several times a day (until it's completely gone!). First off, how adorable is the name for this shampoo? It's a clarifying shampoo, so it's recommended to be used once a week (on Sunday, no? So clever.). My hair stylist recommended it and I use it religiously once a week now (usually on Sundays because #rulefollower). I think this is the number one health/beauty tip I've ever received. Water helps everything. It was my mother's go-to advice for anything we came up with growing up. Headache? Drink some water. Tired? Drink some water. Hiccups? Drink some water. Water is supposed to help everything from skin to digestion. The cute tumbler just makes it easier and more fun. What are your favorite beauty finds?? Oh my gosh, you are seriously TOO sweet!! Thank you!!! Ok, I love these 10 beauty products and I am saving this post so that I can purchase them slowly but surely! Thanks for the post! 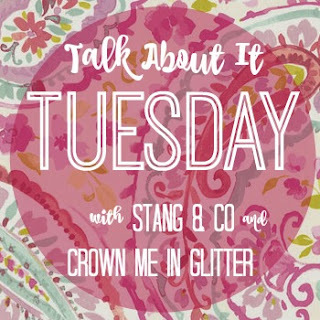 Love that Lilly tumbler! I drink water nonstop throughout the day, so that would be the cutest thing to drink from! How to you use the bottled dry shampoo? I've only ever used the sprays. Do you just sprinkle some in your hands and massage into your roots? How many days do you get out of this stuff? (Sorry for all the questions!) I love NARS lip gloss too! 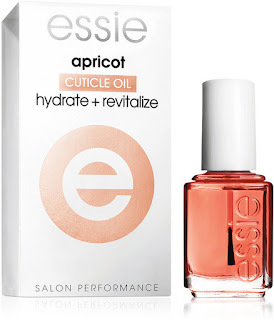 I need to check out that essie cuticle oil - I've been loving doing my own nails (basically just too lazy to go get them done, ha!) but could really use that. Throw it in your bag or keep it on your nightstand - it's a nice little treat and it smells lovely! I scored a free sample awhile back and I was hooked! I think I need to try or that felt Tip eyeliner! And BB products are expensive, but in my limited experience as you alluded tnSOO worth it!